Apparently around half of wine drinkers can name some of the grapes used to make their preferred tipple but beer drinkers struggle to name even a single hop. I’ll confess I’ve based the latter on some deeply unscientific ‘research’ I did; add that I didn’t ask any beer aficionados and of course I realise the situation is skewed by so many wines bearing the name of the grapes they are made from. But all the same it made me feel a little sad for hops. I’d even go so far as to say they are underrated. 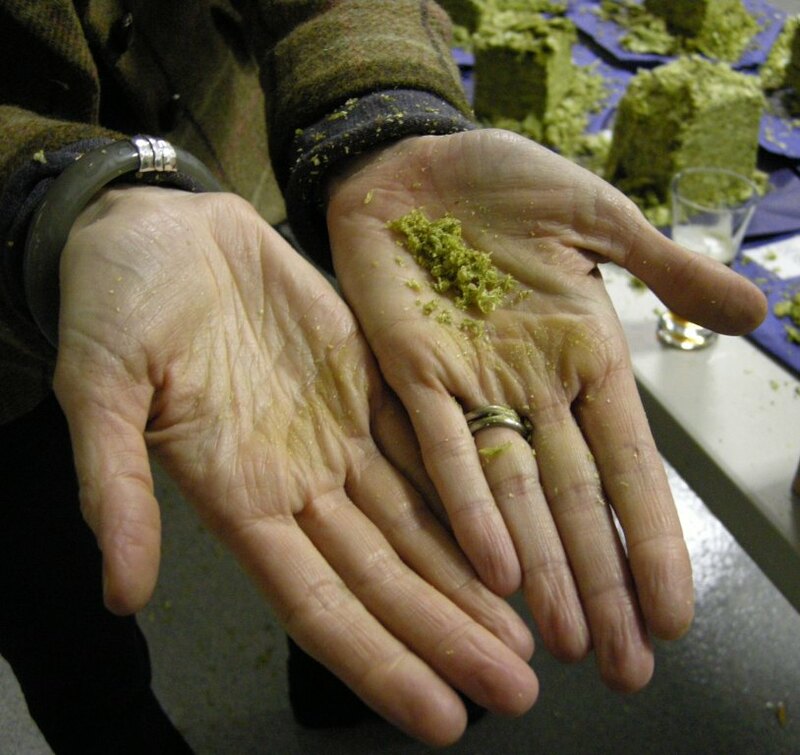 What do hops mean to you? What do they mean to you? Are you aware that hops not only bring bitterness to your beer but countless other flavours AND aromas too? If you are then I apologise for preaching to the converted, but the more I learn about hops the more I like them and want to share what I know. I’m not the only one. There is a campaign under way to, as they say, big up British hop varieties which are too often being passed over in favour of ‘exotic’ varieties from overseas. 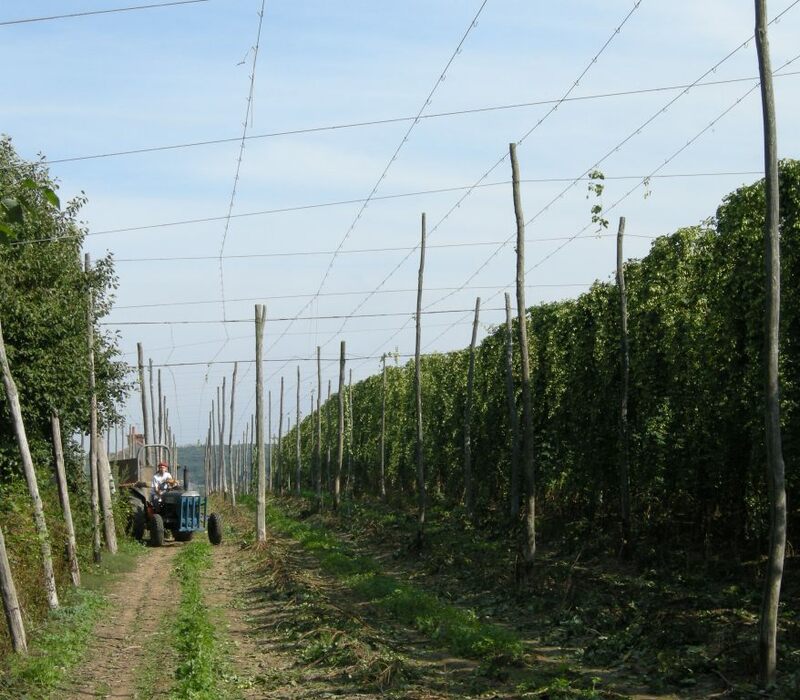 Hop Farmer Ali Capper of Stocks Farm, Worcestershire, has teamed up with Hop Merchant – and self confessed hop lover – Paul Corbett of Charles Faram & Co Ltd to spread the word about what UK hops can do and they are aiming their message at brewers rather than consumers. Capper believes we not only need to be talking about hops but that we should also be spending time really getting to know them. “Most brewers only know four or five hop varieties really well, but we grow 20 commercial varieties in the UK. We [the hop industry] need to campaign because we’re not very good at marketing ourselves,” she says. 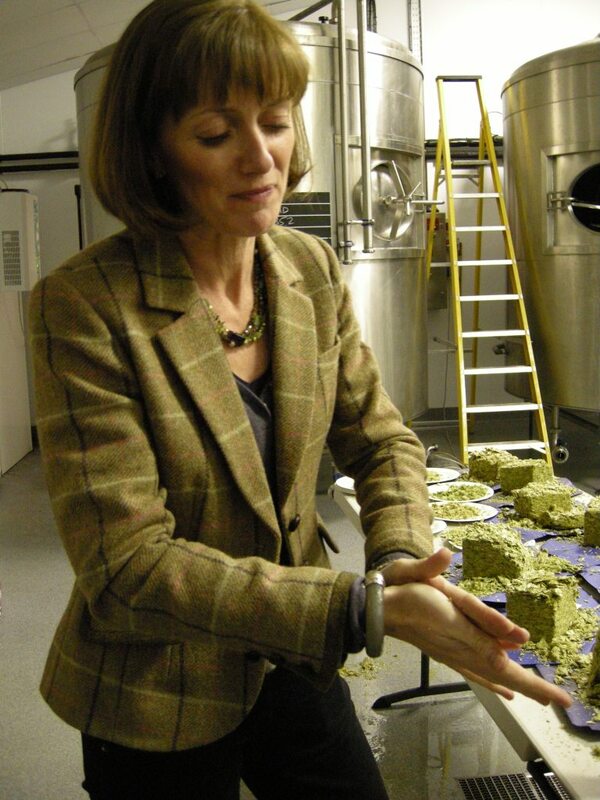 Her contribution is to go out, talk to brewers and showcase British hops. She has an attention grabbing way of doing it – the rub ‘n’ sniff. Hop samples are displayed so people can literally grab a handful, crush them between their palms and smell the aromas released by the little yellow sacks of oil at the base of the flowers. The rub ‘n’ sniff sits alongside Paul Corbett’s overview of hop farming and production, including the fact that hops are produced by cloning (through cuttings from an original plant) because each new seed would produce a new variety and the effect of the UK’s ‘terroir’ (conditions such as mild summer, mild winter, fertile soil and maritime climate from the Atlantic Ocean) on the hops grown here. “UK hop flavours are different from what is produced by the rest of the world,” says Paul, going on to explain about plans for new hops. 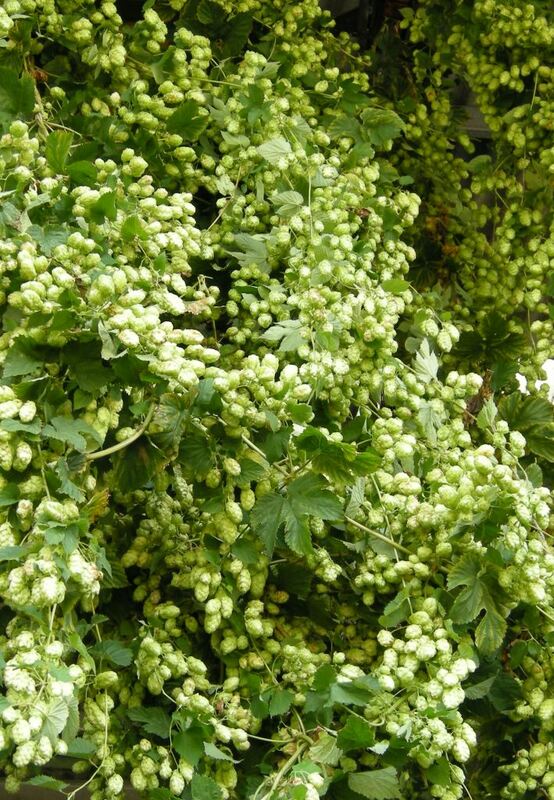 “More intensely flavoured hops are being developed in all countries, but many of the UK’s new varieties would be from the hedgerow varieties,” which he says are believed to be more sustainable and environmentally friendly than the current climbing species. (Traditionally hops bines can grow up to 20 feet tall). If it seems like this is all about brewers and what they can do I’d urge you to think again. If we, as consumers (or if you prefer drinkers) knew more about hops then we too could speak up for British varieties and if you’re passionate about locally grown produce and its benefits to the environment then home grown hops fit perfectly with that issue too. Many breweries already appreciate the value of talking up hops and provide information about what varieties are used in each of their beers on labels and pumpclips. There’s also an increasing trend for single hop brews, with a number of breweries creating beers featuring a different hop each month and at least one – Tring Brewery in Hertfordshire, who hosted the rub ‘n’ sniff I went to – supporting the Great British Hop cause by featuring all UK hops in these monthly specials. If other breweries seem to be taking their time telling us what hops they use, and whether or not they’re British varieties, then maybe it’s up to us to heed Ali Capper’s lead and give them a little nudge. 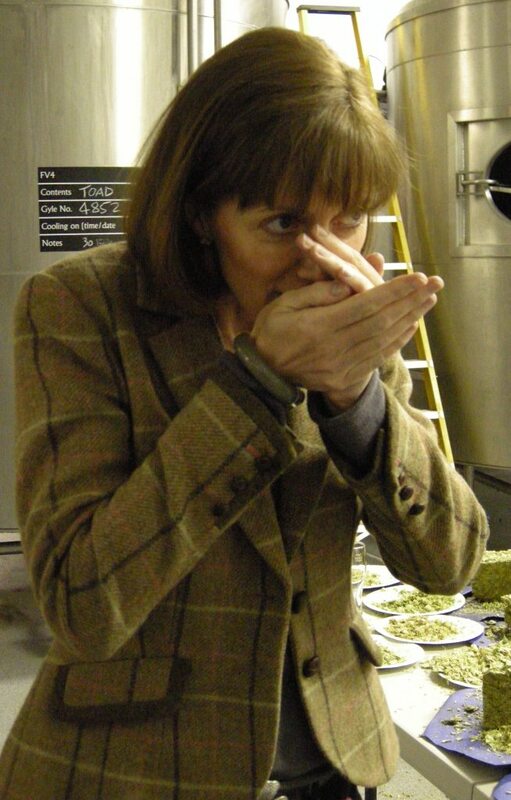 Ali Capper’s Guide to Rubbing & Sniffing Hops! Warm hands (by rubbing gently together to get your circulation going). 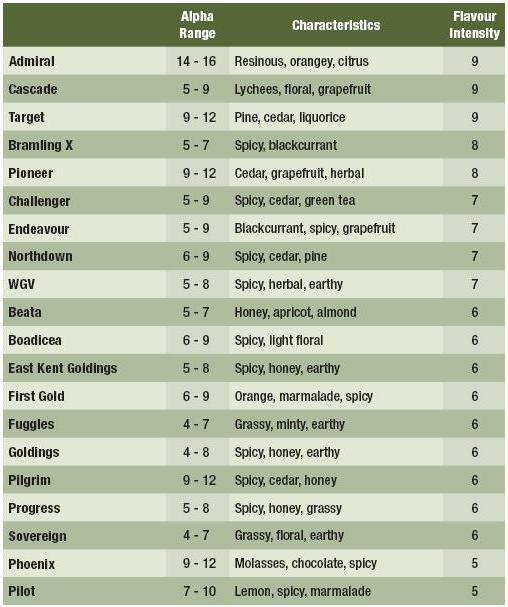 If rubbing several varieties, start with a low flavour intensity/less pungent hop and work up to higher intensities. Really rub the hops to crush the oils out. If you’ve done it properly you should have yellowish oil residue on your hands afterwards. Lift your palms to your nose and sniff the aroma you’ve released. NB: DO NOT wash your hands between varieties – residual oils interfere less with good sniffing than soap from hand washing will. What hops are used to make your favourite beer? Post a comment below if you already know or if you feel like doing some research and find out.